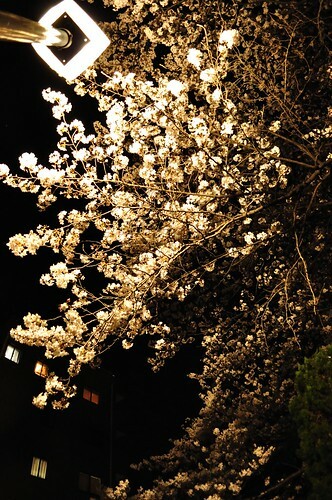 Spring has come. 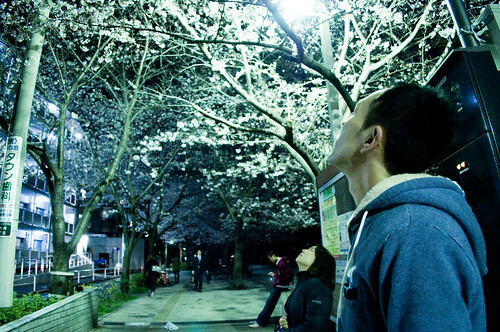 Yes, it’s 桜(Sakura; cherry blossom) season. 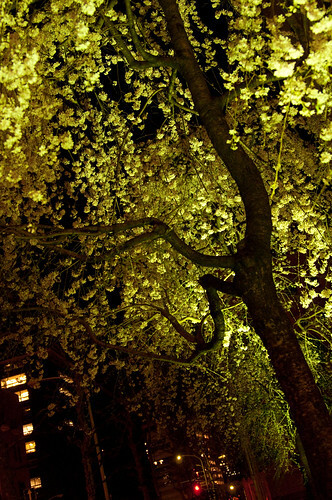 夜桜(Yozakura) means “to see SAKURA at night”. I visited there with my colleagues. In front of 共立女子大学(Kyoritsu Women’s University), 神保町(Jimbōchō station).